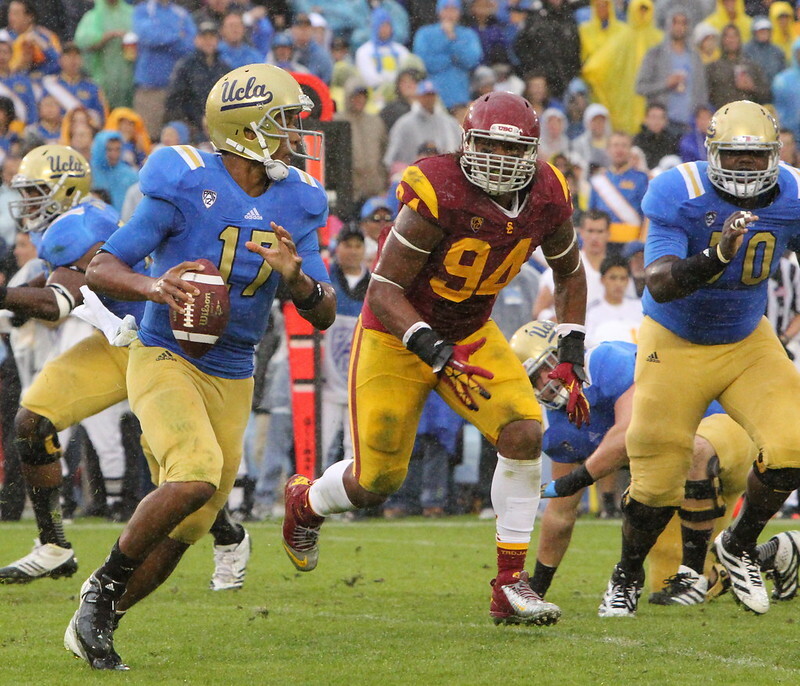 As usual, a big crowd is expected for Saturday’s annual crosstown rivalry game between UCLA and USC at the Los Angles Memorial Coliseum. 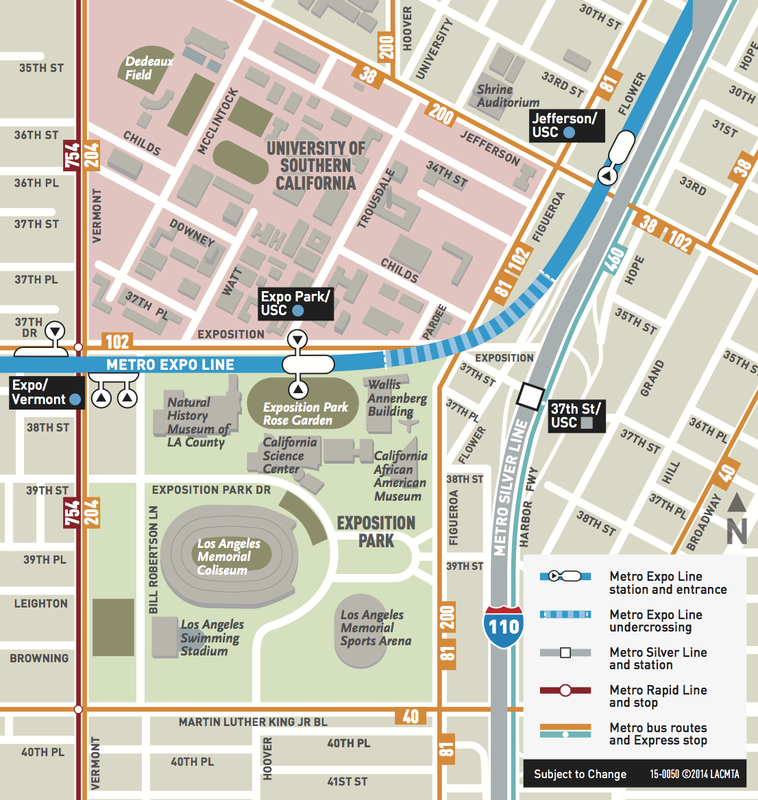 If you don’t feel like driving and getting stuck in traffic and paying a small ransom for parking, the Expo Line and Silver Line are both a short stroll to the stadium. All the details are here and some basic tips are below. Too bad the best deal in downtown LA program got less good with the increase in parking fee to $8 at the Union Station parking garage. 6 minute headways on Expo on USC game days? Extra service on the Silver Line? Who pays for the additional service? You? Me? or USC? Seriously, I want to know! Are we giving them extra service for free, at taxpayer (and transit user) expense? Remember, this is the same USC that is cutting back on transit subsidies for their staff so that they can justify building more parking structures. I was on the 110 Freeway South on Saturday and was very angry when I saw that the fastrack lanes were open to Manchester after the end of the USC/UCLA football game at the Coliseum. I often travel the 110 on weekends and traffic in the general purpose lanes are worse than during weekday rush hour while no one is in the fastrack lanes. If the lanes can be open to everyone for a “football” game, then why aren’t they open every Saturday and Sunday for the benefit of everyone? Why is the benefit granted to USC? 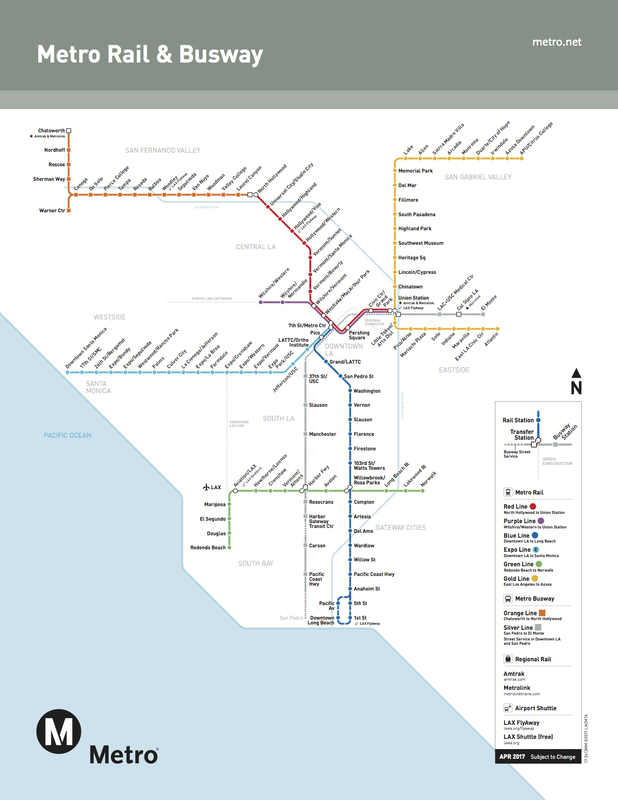 More extra service for USC fans at the expense of the general transit public. Does USC pay anything for this extra service? I disagree that it’s at the expense of the general public. None of the local sports teams pay for service. But one reason to have a mass transit rail system is to be able to provide service to big events and to help give some of the people attending an option other than traffic. That benefits everyone, I think. I also am aware that if we didn’t provide service to the games, we’d have a lot of people complaining about that.